Can you actually believe this corner installation. Talk about a backyard job! 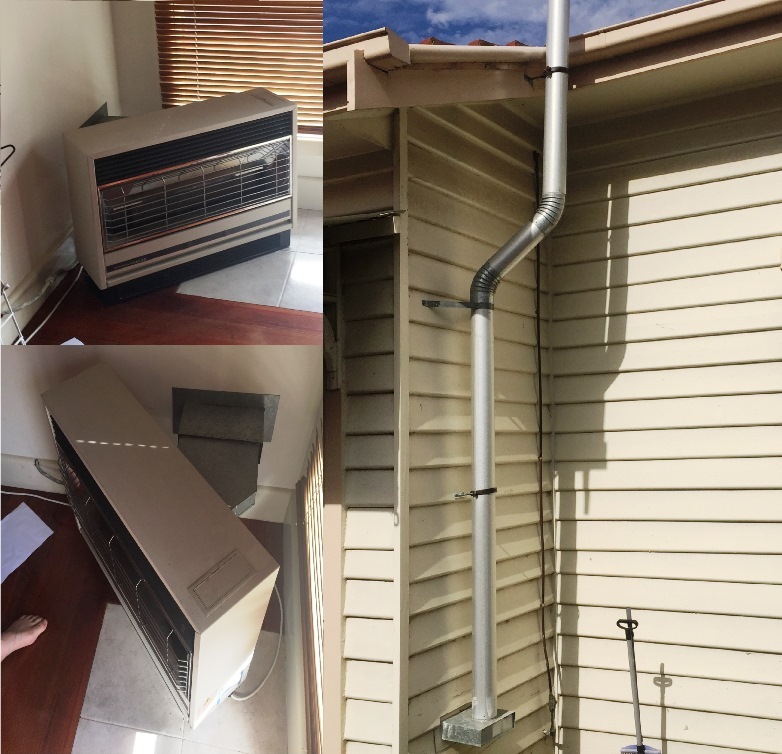 The flue exposed on a 45Deg angle and outside is even worse! 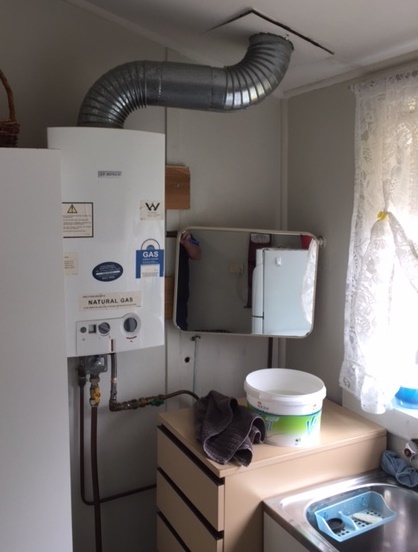 An illegal internal Bosch Hot water system that was installed only a few years ago… It has a shower in same room… so not classified as laundry. It has 90Deg elbows which are not to manufacturers requirements. All pipework underneath is loose & unsupported. Where did this plumber get his license? Leaning against a wall… not to mention that a car will probably hit it. Must have an invisible bollard! Where’s the Plumbing Inspectors when you need them?? 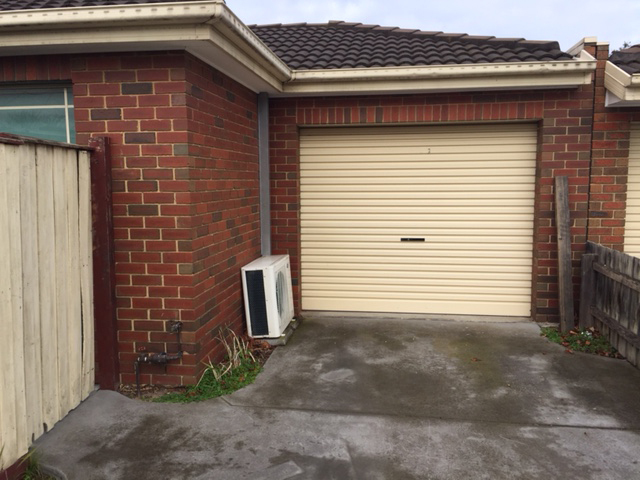 Dodgy Bros – Homemade Security! What can we say… interesting!! 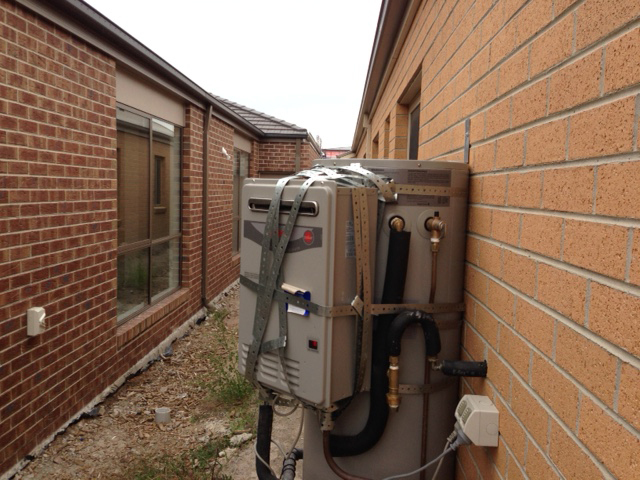 Look what we found… a Hot Water System installed on a Fence! 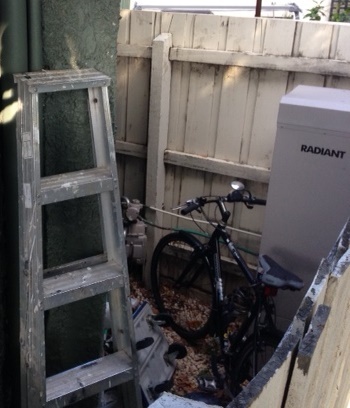 Shoved in a corner… unsupported pipework… WTF!! !